The killing of a top figure in the terrorist group Islamic State, Abu Muhammed al-Adnani, was the result of an airstrike conducted by a Russian Su-34 bomber, Russia’s Defense Ministry said Wednesday. The death of al-Adnani, Islamic State’s spokesman and its leader in Syria, in a bombing in the Syrian province of Aleppo was earlier confirmed by the terrorist organization itself. In an airstrike conducted in the area of Maaratat Umm Hawsh on Tuesday, the Su-34 targeted a group of Islamic State (IS, formerly ISIS/ISIL) fighters numbering about 40 people, the Russian Defense Ministry reported. 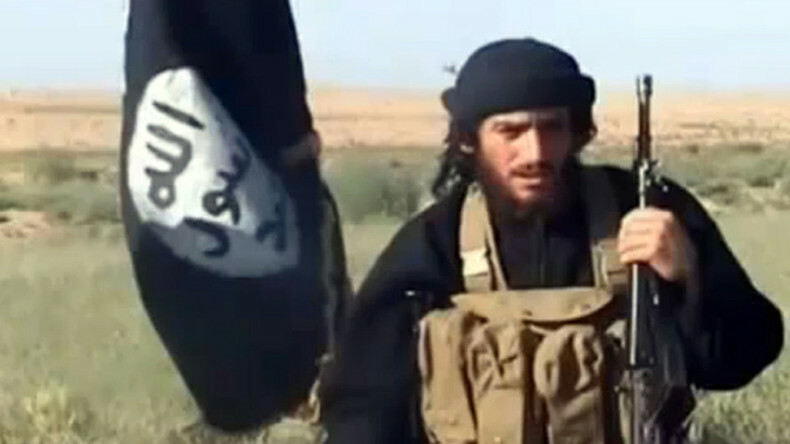 Al-Adnani’s death was confirmed by several intelligence channels. An American defense official told Reuters that the US also targeted al-Adnani in a strike on Tuesday, but would not immediately confirm his death. Al-Adnani had a $5 million US Department of State bounty on his head. Known for his aggressive, florid speaking style, al-Adnani sought to inspire recruits and lone wolf attackers in the West, and his calls to arms were often cited by ISIS adepts. Western media also reported that he was the head of a special intelligence unit, responsible for planning complex terrorist attacks in Europe. Nations fighting IS should be prepared for possible attempts by terrorists to seek retribution, Middle East expert Ali Rizk told RT. “There are a lot of ISIS members who would be mourning his death and who would be very determined to extract some kind of revenge. I wouldn’t be surprised if we saw some plots in Western capitals,” he said. While al-Adnani’s death is a setback for IS, considering his senior position and involvement in the propaganda efforts of the jihadist group, people should remain realistic about the impact it will ultimately have, Ammar Waqqaf, founder and director of Gnosos think tank, told RT. “It will take time for them [IS] to replace him, but we shouldn’t be singing chants of joy yet, because they probably thought that some of them would have been killed and the replacement would be in the pipeline,” he said.